1) We’ll have a design of an holistic customer experience across all channels that will dipend from the (individual) shopping experience. We’re in the Seamless Commerce era so we have to optimize Analytics, Mobile, Social Commerce, Cognitive Computing. 2) Digital Transformation? Yes, customers will drive it. Ready to manage a crazy customer journey with multiple touchpoints? 3) Relevant information in relevant environment at the right time. A big challenge for Advertisers in order to launch a successful Content Marketing and Native Advertising campaign. 4) Thanks to indexing your app content on Google, there will be an interesting opportunity to make additional users through the organic results. I’m also collecting a Full List of the 2016 Digital Marketing Trends. Feel free to send me suggestions: tweet @darios or write a comment. 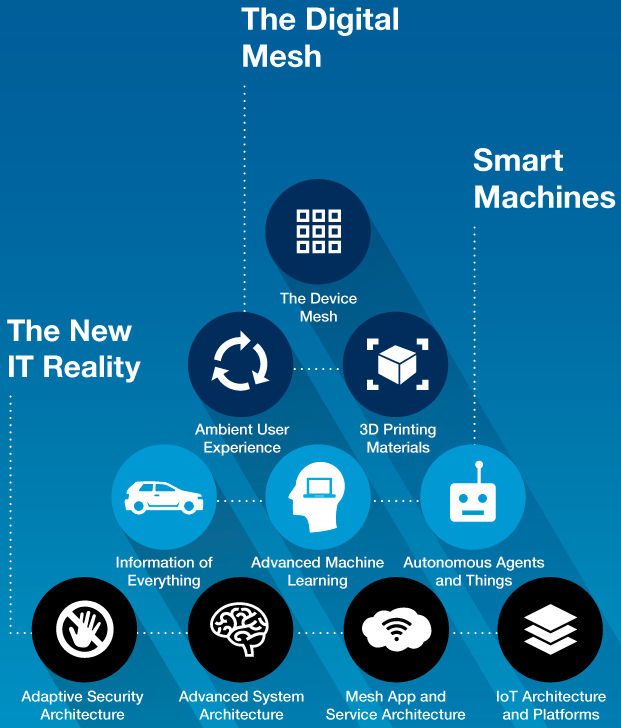 – In Top Strategic Predictions for 2016 and Beyond: The Future Is a Digital Thing report (feature image) Gartner identifies the top 10 strategic IT technonology trends for 2016. – The Design Trends 2016 (don’t miss the top 4 colour for next year), the Mobile-App development trends and the Mobile Design trends. – The Fjord Trends on impacting design and innovation in 2016 and the Web Design trends. – The 2016 Content Marketing trends. – The Digital Analytics trends for 2016. – Globalwebindex predicted that M-Commerce will go Mainstream in 2016. – The PPC trends for 2016 for Paid Search, Display and Remarketing. – The Channel Marketing trends for 2016. Wow Dario, roba super interessante!